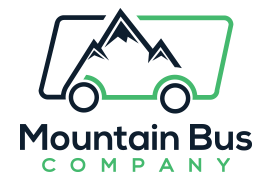 Mountain Bus Company is a fully licensed and registered airport transfer company based in the French Alps. We adhere to all of the stringent French and Swiss transport regulations and are fully insured for passenger transport. Our airport transfer service operates throughout the winter and summer seasons. We offer a safe, reliable, friendly service between Geneva Airport and the Portes du Soleil ski area, specialising in transfers to Morzine, Les Gets and Avoriaz. Mountain Bus Company also runs a late night cab service between Morzine, Les Gets, Avoriaz, St Jean D’Aulps and the surrounding areas throughout the winter season. This service is available Monday – Friday from 6pm – 2am and all bookings must be made in advance by calling our designated cab line on +33 682 888 550. We are a fully licensed and registered airport transfer company based in the French Alps. We adhere to all of the stringent French and Swiss transport regulations and are fully insured for passenger transport. © 2019 Mountain Bus Company.